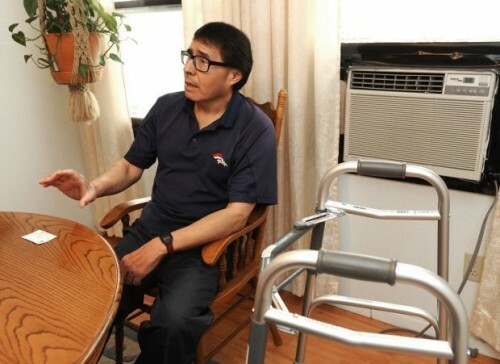 Diabetes patient Jay Littlewolf says he sought medical help for a diabetic ulcer at a Billings hospital after not receiving “adequate health care through the IHS in Lame Deer.” He wants reimbursement from the IHS and sought Sen. Jon Tester’s assistance. BILLINGS – Montana’s Indian tribes, which until recently thought the Affordable Care Act would pass them by, could face fines exceeding $1 million for not offering insurance to employees. Beginning in 2016, businesses with 50 or more full-time workers will have to offer at least a minimum amount of health insurance to employees. Those who don’t comply face tax penalties, and that includes tribal governments. The requirement has been a surprise to tribes, said George Heavy Runner, Blackfeet Insurance Services health and wellness coordinator. As individuals, American Indians have the option of choosing not to follow Affordable Care Act rules. Many assumed tribal governments, which are sovereign, had that same option. Tax penalties facing the Blackfeet Tribe for not complying could be as high as $1.1 million. Crow Tribal Chairman Darrin Old Coyote said the size of the fee depends on how many people a tribal government employs. The tribes can avoid the fees by offering the insurance to their workers. Old Coyote said the Crow have hired a benefits manager to do just that. The change caught tribes off-guard because American Indians by treaty receive health care via the Indian Health Service on reservations. IHS is much maligned by tribal members for not providing adequate health care and for not covering services by specialists outside the IHS program. Because IHS is limited, tribal members who work for their government would benefit from having other health care, Old Coyote said. The challenge is having a health care plan to offer by next year. Suing to get off the employer mandate has already been tried. In February, Wyoming’s Northern Arapaho Tribe failed to convince a federal judge to block the employer mandate. The Northern Arapaho argued that subjecting tribes to the employer mandate was an oversight that overlooked treaty rights related to Indian health care, while also stating that tax credits and benefits granted to Indians under the Affordable Care Act would be denied. Earlier this month, U.S. Sen. Steve Daines, R-Mont., and U.S. Rep. Ryan Zinke, R-Mont., announced a bill to exempt tribes from the employer mandate. Daines called the mandate a job killer for tribal governments, who wouldn’t hire as many employees if they had to pay significant penalties. Other sponsors of the bill, such as Republican Sen. John Thune, of South Dakota, said it was unfair to exempt individual tribal members and not exempt tribal governments as well. However, exempting tribes from the employer mandate won’t help the nagging problems with Indian health care, said a representative for Sen. Jon Tester, D-Mont. IHS spending on Indian patients was $2,741 per person in 2013, according to the National Congress of American Indians, which asserts that IHS is severely underfunded. Medicaid spending, by comparison was $5,841. The state of Montana is awaiting federal approval of the state’s plan to begin offering Medicaid to Montanans earning up to 138 percent of the federal poverty level. Medicaid expansion would extend benefits to as many as 11,000 tribal members over the next four years, said Jon Ebelt of Montana’s Department of Public Health and Human Services. The program would benefit tribal health care in general, Ebelt said. Old Coyote said he’s concerned that state benefits representatives won’t be able to clearly explain the expanded Medicaid program to some Crow Indians who speak Crow as their primary language. He’s asked the state to provide a benefits representative who is fluent in Crow. Ebelt said the state is able to provide translation assistance if necessary and in determining an outreach plan with members of the Indian Health Service at Crow Agency. North Stonington — Dennis Jenkins, chairman of the Eastern Pequot Tribe, on Monday decried the “dirty politics” he said stand to prevent his tribe from getting another shot at federal recognition. Responding for the first time to the U.S. Department of the Interior’s adoption of a new “rule” governing the recognition process for Indian tribes, Jenkins said “backroom dealings” in Washington had ensured that Connecticut tribes that had been denied recognition in the past would not get the opportunity to reapply for the coveted status that would make them eligible for federal assistance and enable them to pursue casino development. 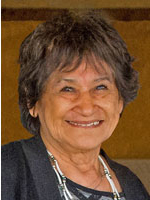 Jenkins, in a phone interview, also revealed that Katherine Sebastian Dring, a longtime tribal councilor with a background in education and the law, will succeed him as chairman later this month. “I knew it was going to happen,” Jenkins said, referring to the U.S. Bureau of Indian Affairs’ removal from the final rule a provision that would have allowed three state-recognized tribes in Connecticut — the Eastern Pequots, the Schaghticokes and the Golden Hill Paugussetts — to reapply for recognition. A draft of the rule had also included a provision that would have allowed parties to a successful appeal of a tribe’s recognition to block that tribe’s reapplication. The Easterns won recognition in 2002, only to have it withdrawn three years later after the state and the towns of North Stonington, Ledyard and Preston objected. Jenkins testified last year against the so-called “third-party veto” provision, which most observers believed would have been found unconstitutional. Jenkins said Connecticut’s elected leaders, including U.S. Sen. Richard Blumenthal and the rest of the state’s congressional delegation, pressured the BIA to prevent the Connecticut tribes from filing new applications for recognition. But, Jenkins said, when the Easterns sought to meet in Washington with Kevin Washburn, the Interior Department’s assistant secretary for Indian affairs, they were turned away. Leaders of the Schaghticokes and the Golden Hill Paugussetts expressed similar sentiments in the wake of the BIA’s adoption of the new federal-recognition rule. Jenkins said Eastern Pequot tribal members who are attorneys are looking into ways the tribe can fight the rule. Elected in 2013 to complete the term of Brian Geer, the former chairman charged with embezzling from the tribe, Jenkins decided some time ago to not seek re-election. He said Sebastian Dring, the tribal council’s corresponding secretary, was the only eligible candidate for the post and would be elected July 25 at the tribe’s annual meeting. Sebastian Dring will not comment on tribal matters until then, Jenkins said. “Kathy is a very capable person who knows the tribe’s petition inside and out,” he said. At the annual meeting, tribal members will discuss and vote on a proposed development project that Jenkins declined to identify. “We’re broke. We need to generate some funding,” he said. As chairman, Jenkins has repeatedly stated that he doesn’t believe the tribe should pursue a casino if it ever gains federal recognition. HOUMA, La. (AP) – For local Indian tribes seeking federal recognition, congressional pushback is disappointing, but nothing new. U.S. Rep. Rob Bishop, R-Utah, is demanding the Obama administration hold off on new rules that could make it easier for Indian groups to win federal recognition as tribes. American Indians have been pushing for years to revise the process, but proposed regulations nearing the finish line have deeply divided existing tribes and Congress. Bishop says he’s prepared to use every tool at his disposal to block enactment of the regulations. He criticized the Interior Department for forwarding the regulations to the Office of Management and Budget for final approval last week. He said the administration has ignored lawmakers’ requests to hold off on the rules until Congress has a chance to review them. Albert Naquin, chief of the Isle de Jean Charles band of the Biloxi-Chitimacha-Choctaw, which includes about 600 members, said he’s saddened by the lengths some politicians have gone to hold tribes back. Federal recognition has been granted to 566 American tribes, and it is sought by others because of the health and education benefits it brings to tribal members, along with opportunities for commercial development. Under the current recognition process, which dates back to 1978, the Interior Department has recognized 17 tribes and denied 34 requests, including the United Houma Nation in 1996 because, according to the government’s judgment, the tribe failed to prove it had an unbroken connection to the historic Houma tribe. The Houma Nation, which boasts some 17,000 members, is recognized by the state but has tried since the 1970s to win federal recognition, which tribal leaders say could open the door to grants to address poverty and improve education. The Lafourche and Terrebonne parish councils have expressed support for both tribes as well as the Pointe-au-Chien tribe. The tribe isn’t looking for “a check in everyone’s hands” but rather the chance for proper education, health care and a sense of solace knowing where they live won’t vanish into the sea, said Houma Nation Principal Chief Thomas Dardar. Dardar said the tribe is looking for around 300 acres of land, but 10 acres at the start of the process. Federal recognition would aid in that goal, he said. The fight for recognition is expensive to the tribes, Naquin said. His tribe has spent money it doesn’t have to research put together the proposal. A proposed rule issued 11 months ago changes some of the thresholds groups would need to meet to be federally recognized as a tribe. For example, the proposed regulation reduced how far back in time a tribe must demonstrate it has been a distinct political entity with authority over its members. The National Congress of American Indians, whose members include leaders from dozens of tribes, is supporting the administration’s efforts. Republicans and Democrats in Congress have expressed concern about the cost to the federal government and how approval of new tribes could alter the casino landscape in their home states. Existing tribes have also raised the casino issue and say that adding tribes would stretch already scarce federal resources allocated for health care, education and housing for Native Americans. Local tribes are optimistic their fight for federal recognition will soon prove fruitful. Naquin said his tribe has employed someone to write up its proposal for federal recognition, and he believes it meets all the criteria. Now, he said, it’s a matter of putting it all together in the formal application. 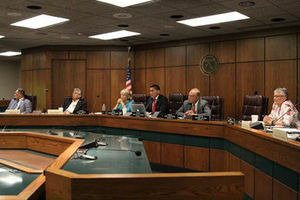 The SAD 54 school board limited remarks to residents of the districts towns and state legislators. SKOWHEGAN — Whose heritage is honored by the Native American image and the name “Indians” for sports teams? Is it the players, parents and boosters of Skowhegan Area High School who say the nickname is their tradition, their identity and their way of respecting Native Americans by channeling their strength and bravery in sports competition? Or does the heritage belong to the native people who lived for centuries along the banks of the Kennebec River, only to be wiped out by disease, war and racism with the arrival of Europeans? That was the question Monday night during a public forum on the continued use of the word “Indians” as a sports mascot, nickname or good luck charm. The School Administrative District 54 board agreed to hold the forum, noting that only residents of the school district and state legislators be allowed to speak. The decision drew criticism from those supporting the name change that the gathering would be one-sided, calling it a “mock forum,” but others said it was fair to give residents of SAD 54 their chance to speak out. Representatives of the Penobscot, Passamaquoddy, Maliseet and Micmac tribes — all members of the umbrella Wabanaki federation in Maine — told a school board subcommittee April 13 that the use of the word Indians is an insult to Native Americans. Members of the four Indian tribes want the name changed. They say they are people and people are not mascots. The SAD 54 school board will discuss the matter at their regular meeting on Thursday possibly leading to a vote on the issue. Speakers at the forum appeared to be divided evenly for and against keeping the name. Each speaker was given two minutes to speak. 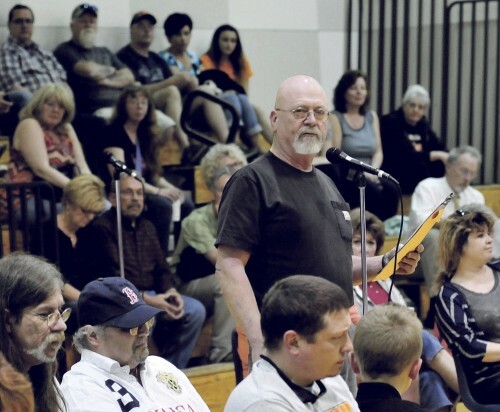 Harold Bigelow, of Skowhegan, told the assembly of more than 60 people that there are Native Americans “who side with us” in support of keeping Skowhegan the Indians. Mary Stuart, of Canaan, a former SAD 54 teacher, stood to ask with a show of hands how many people in the audience were veterans. She then asked how many had relatives that were veterans. Many more hands were raised. Stuart then said the people who are veterans get to say they are veterans — not their children and grandchildren — and it’s the same with American Indians. “I am not a veteran, and we are not Indians,” she said. School board members said last week that because tribal members had their chance to speak in April, that Monday’s forum was designed to give local people a chance to have their say. The gymnasium at Skowhegan Area Middle School filled before the meeting with people holding signs saying “Retire the Mascot” and others wearing Skowhegan Indians baseball caps in support of keeping the name. John Alsop, of Cornville, called for the elimination of the mascot name. Judy York, of Skowhegan, disagreed, saying she grew up in poverty, just like many other people in the area, including the Native Americans. She said discussion on continued use of the word is all about a name. The school has dropped all of the offensive images of the past, York said. At issue is not the town seal — an Indian spearing fish on the Kennebec River — or even the image of an Indian painted on the wall of the high school gymnasium, Barry Dana, of Solon, former chief of the Penobscot Nation, has said in the weeks leading up to the forum. State Rep. Matthew Dana II, who represents the Passamaquoddy tribe in the Legislature, was unable to make Monday night’s forum. Maliseet Tribal Representative Henry J. Bear was present Monday night and spoke briefly about community spirit and unity, wishing friendship for both sides of a passionate issue. He said after the Revolutionary War the first treaty the new “founders” of the United States made was with the St. John River Indians. Maulian Smith, a Penobscot woman who grew up and still lives and works on Indian Island, stood to read a letter from Kirk Francis, chief of the Penobscot Indian Nation who authorized her to speak for the tribe. Smith was told that because she is not a resident, she could not speak at the forum as a proxy. A Skowhegan police officer escorted her to her seat, but she would not sit down. Former Skowhegan selectwoman and county commissioner Lynda Quinn said what the Indian mascot issue has created is fear. For about 90 minutes people stood to speak of culture and history and respect for what sports boosters grew up loving and honoring and respecting tribal people who say that the word Indian is not respecting them. Some said it was time to start a new tradition, one based on the actual history of Skowhegan and the Kennebec River. Others said the tradition of Skowhegan Indian pride was here to stay. Skowhegan is one of the only high schools left in Maine with an Indian mascot, bucking a national trend to end racial stereotyping of American Indians as sports mascots. The first Maine school to change was Scarborough High School in 2001. The school dropped Redskins in favor of Red Storm. Husson University eliminated the Braves nickname and became the Eagles. In 2011 Wiscasset High School and Sanford High School eliminated the Redskins nickname. Wiscasset teams are now known as the Wolverines, while Sanford athletes are the Spartans. In Old Town, the nickname Indians was dropped and Coyotes was adopted. Greg Potter, superintendent of Newport-based RSU 19, which includes Nokomis Regional High School, said the American Indian image has not been dropped entirely at the high school, but has been incorporated along with other images in a kind of coat of arms to represent the district and its history, not a school sports mascot. Wells High School has been the “Warriors” also and last year was in the process of phasing out Native American imagery to become a more neutral “Warriors,” according to a published report. Wells Town Manager Jonathan L. Carter on Monday said the Native American imagery appears to be still in place. “I don’t think they’ve dropped it,” Carter said. Carter said Schneider has since resigned along with the school district’s business manager, but that he does not know why. Helena Ackerson, chairman of the local school committee; Diana Allen, vice chairman; committee member Jason Vennard and Wells High School principal Jim Daly have not replied to email inquiries for comment on the issue. Discontent over the Indian mascot is not new for Skowhegan schools. The school board’s Educational Policy and Program Committee voted in 2001 to keep the Indian name and propose a single American Indian symbol to represent the teams. The SAD 54 board had debated the issue for two years after receiving a letter from the American Indian Movement in 1999. The letter called the use of an Indian for the high school’s mascot offensive. A committee of high school staff and students in 2001 also surveyed 800 students and staff and found the majority felt that the use of the name “Indians” was not disrespectful, although many of the American Indian symbols, including murals and a wooden sculpture in the cafeteria, did not reflect the tribes from the area. Another problem was that a mascot head with oversized facial features had been used at athletic events. School board directors banned use of that head after parents complained. WASHINGTON – The National Park Service has proposed to modify the regulation governing the gathering of plants in national parks. The rule would allow members of federally recognized Indian tribes with traditional associations to areas within specific units of the National Park System to gather and remove plants or plant parts for traditional purposes. The gathering and removal allowed by the rule would be governed by agreements that may be entered into between the National Park Service and the tribes, and would also be subject to permits that identify the tribal members who may conduct these activities. The rule would prohibit commercial uses of gathered materials. To be published Monday April 20 in the Federal Register, 36 CFR Part 2, Gathering of Certain Plants or Plant Parts by Federally Recognized Indian Tribes for Traditional Purposes, will be open for public comment for 90 days through Monday, July 20, 2015. Many units of the National Park System contain resources important to the continuation of American Indian cultures. Indian tribes have actively sought the ability to gather and use plant resources for traditional purposes such as basketry and traditional medicines while ensuring the sustainability of plant communities in parks. At the same time, park managers and law enforcement officers need clear guidance regarding their responsibilities for enforcing park regulations with respect to the use of park resources by American Indians. The proposal provides an approach to plant collecting by members of federally recognized tribes that can be applied across the National Park Service. In drafting the proposed rule, National Park Service staff met with or contacted more than 120 Indian tribes. Tribal consultation that followed indicates that the approach taken in the proposed rule would address the need for gathering while respecting tribal sovereignty. Comments on the proposed rule should reference the National Park Service and Regulation Identifier Number (RIN) 1024-AD84, and can be submitted online through the Federal Rulemaking Portal: http://www.regulations.gov, which provides instructions for submitting comments; or by mail to: National Park Service, Joe Watkins, Office of Tribal Relations and American Cultures, 1201 Eye Street NW, Washington, DC 20005. The National Park Service will accept public comments on the proposed rule through Monday, July 20, 2015. Comments and suggestions on the information collection requirements in the proposed rule should be sent to the Desk Officer for the Department of the Interior at OMB-OIRA by fax at (202) 395-5806 or by e-mail to OIRA_Submission@omb.eop.gov. Please provide a copy of your comments by e-mail to madonna_baucum@nps.gov or by mail to: Information Collection Clearance Officer, National Park Service, 1849 C Street, NW, Washington, DC 20240. Please reference “1024-AD84” in the subject line of your comments. You may review the Information Collection Request online at http://www.reginfo.gov. Follow the instructions to review Department of the Interior collections under review by OMB. Comments on the information collection requirements must be received by Wednesday, May 20, 2015.